Fellow campaigner here – thanks for visiting me! 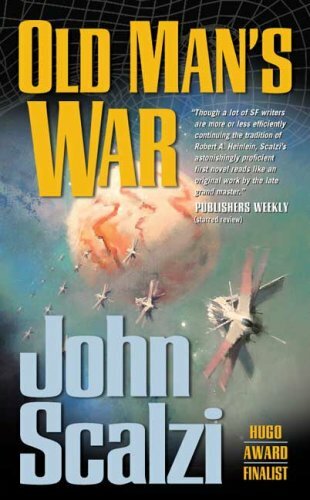 I heard about this book in one of Donald Maas' writing books, the premise is very intriguing and I planned to read it, even though I agree with you military spec-fic might not be my thing, either. I enjoyed both The Ghost Brigades and The Last Colony. There's also a fourth book, Zoe's Tale, that adds more detail and a new perspective to The Last Colony. For other military sci-fi, I recommend David Weber and Elizabeth Moon. Fellow campaigner (Go Group 6! )Enjoyed the post!